Youuuuu guyssss. This is by far one of the most insanely delicious things ever. Literally, ever. Have you ever had one of those days where you’d like fast forward through dinner and just go straight to dessert? Or rather, have dessert for dinner? Well this recipe is the best of both worlds. You get dinner and dessert in one! How? Because it’s so friggin tasty, and deceptively healthy! I’d call that a #win! This post was made possible by my wonderful sponsor, Audible . While I was whipping this up, I had my earbuds in and was listening to an audiobook – Adnan’s Story. It’s my new favorite thing. And just for you, they’re offering a Free 30-Day Trial Membership . And with this free membership, you’re going to get 2 free audiobooks! Literally. Free. It is the best deal ever. And if for some reason, you decide it’s not for you, you can cancel within those 30 days and it’s zero money out of your pocket, plus, you get to keep the 2 audiobooks. Soooo…it’s pretty much a no brainer. 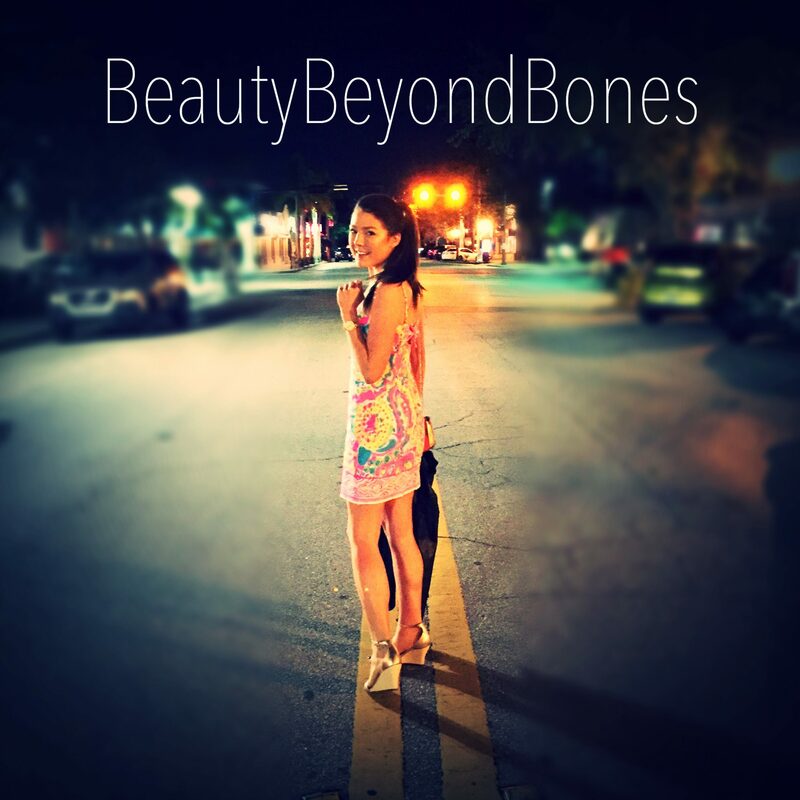 This is a free and easy way to support this blog! So thank you!! OK, back to the spuds. Preheat oven to 375. Prick the sweet potato all over with a fork. Rub the skin with a little bit of oil – I used grapeseed. Bake for about 1 hour, turning every 15 minutes with an oven mitt. (I placed a cookie sheet underneath the potato to catch any sugary drippings that might ooze out of the spud). While your potato is baking, steam the carrots either on the stove, or in the microwave. I just used the microwave and a Pyrex measuring cup. Also while the potato is baking, I made my almond butter drizzle. In the food processor, I mixed the almond butter, honey, and cinnamon until it was nice and smooth and drizzly. If the consistency is too thick, you can add either a splash of water, or a little bit of oil. I used a touch of almond oil, but another flavorless oil would be fine too. *You don’t have to clean the food processorfood processor just yet. Any remaining sauce left on the sides/blade will just mix nicely in with the flesh. Lastly, toast some pecans in a skillet over low heat until fragrant. This doesn’t take very long – about 3 minutes, stirring occasionally. But watch them, because they can burn quickly! Then, spoon out the flesh of the potato and place into your food processor along with the carrots and a pinch of salt. Don’t scrape all of the flesh out of the potato — you still need the potato to be sturdy and able to stand on its own. While the flesh of the potato and the carrots are still hot, process them until combined and smooth. (The steam given off helps facilitate this). I also added about a Tbsp of almond butter, 1 Tbsp honey, 1 pinch of salt, and 1/8 tsp cinnamon to the food processor to be mixed in. TO assemble, generously spoon the potato/carrot mixture back into the skin and pile it high! Then, liberally smother that baby with your almond butter and honey drizzle. Garnish with pecans if desired. Was this bigger than my fave? Yes. Did it weigh roughly the same as a large cat? Yes. Was it one of the most delicious things in the entire world? Abso-friggin-lutely! Ladies and gentlemen, this potato. This potato. This potato. THIS POTATO! I kid you not…it was nirvana. And I use that word because Webster told me that it meant utter bliss. Ecstasy. Pure joy. … Yep, that about sums it up. It was like eating pumpkin pie flavored cookie dough. It was sweet and nutty and had a kiss of warm cinnamon. And the texture was marvelous. Like I mentioned, Japanese Sweet Potatoes have a tacky and thick texture that makes it so you almost have to chew it. It was so good. Seriously though, it should be illegal. It is so rich and nutty and sweet and combined with the sweet potato and carrot mash, it is just out of this world. Lastly, the color is just outrageous. That orange color is not enhanced, nor from a can, my friends. No filter here! It’s all from some good ol’ beta carotene found in Bugs Bunny’s favorite veggie. Not only do carrots intensify the color, but they also up the nutrition factor too! This was a ten. Nay — an eleven. If you feel like giving yourself a hug through your stomach, make this dish. It’s Din-sert. It’s healthy dessert for dinner. It’s Potato Nirvana. For more recipes, you can get my e-cookbook here, or visit my food blog, GlutenFreeHappyTummy! OMG! That looks like heaven! Definitely will be making that soon! Sounds delicious, I can’t wait to try it! You had me at “desert” 🙂 P.S. I bought your book! It is awesome. 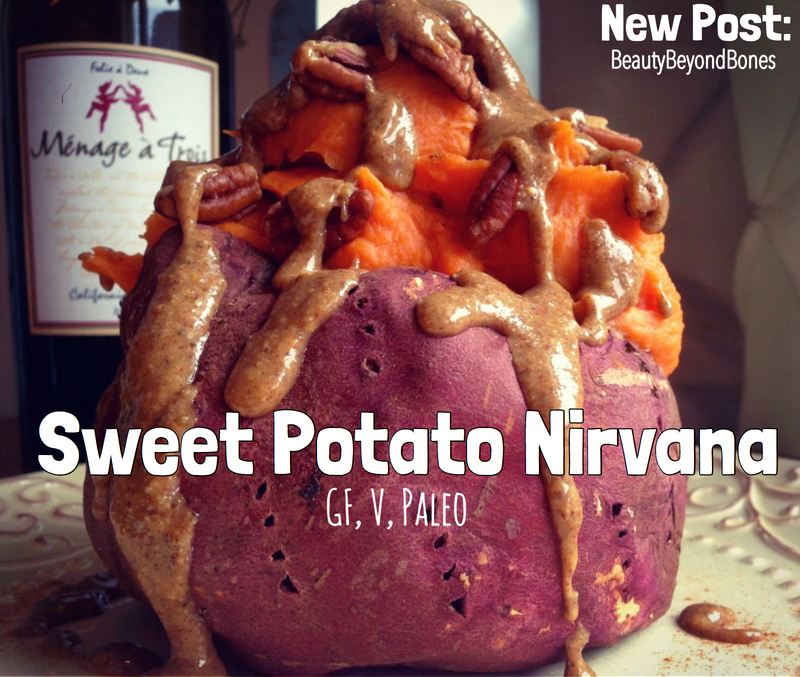 You know, I’m not a huge sweet potato person but this sounds yummy! May have to give it a shot. Can you get that particular kind of potato at any normal grocery store or are there specific places that sell them?? Thanks! Yes! They are available in all groceries! I love sweet potatoes! This recipe looks great, when I’m feeling ambitious I’ll have to try and tackle it. I found a different Thanksgiving recipe that called for ICE CREAM to get mixed in. Only in America. OK, OK you got the taste buds working up a pre saliva invitation and only provided a picture. I like the orange sweet potato variety in Chinese food preparations. Haven’t tried Japanese sweet potato. That picture with the gigantic glasses is super cool. Yummm…looks and sounds delish! I 💜 sweet potatoes. Doing okay, tired of course but starting a new life always is. And who in the world likes to move????? Ugh!!!! Without Him, and the Church, I could not have made it. You know, I really know now what it is to give up all you have and follow Jesus. Eventually BBB, you get to the resurrection. It was hard, but when you what you are doing requires you to totally do it all for God, to let go of all you have, you realize the only thing in life that matters are those very things. All of the rest of it, has not value at all. Will be doing some post on all of it. That looks crazy good. Will have to try it. Looks and sounds delightful! Gonna have to take the tastebuds on a new experience! Okay, confession time. When I’m home alone at dinner time, I eat a bowl of cereal. I have no desire to make anything for just me. But OMG! I think I might just eat a nice, healthy sweet potato the next time hubby is gone and youngest daughter is out! That looks SOOOOO good! You’ve got my mouth watering ! I wanna run out and buy some sweet potatoes and toppings just so I can make this! Ugh. I don’t think I want any. The wine looks good, though. That’s my wife’s favorite kind. Hold my Beer, Watch this. awwww 🙂 thank you again!! Yum! I love sweet potatoes. Lol! I love this post so much 😂 I definitely want to try this potato from heaven! Thanks for sharing the recipe! Thank you for another one to add to my “new healthy recipes to try” list! Another delectable food post. Wow!! Thank you so much! I’m with my parents for my uncle’s celebration of life, I’m very happy to spend some time away from work, and surrounded by family and friends. I need to make this, or come to your house..lol 🙂 Yummm!! I will try this… thank-you for sharing!